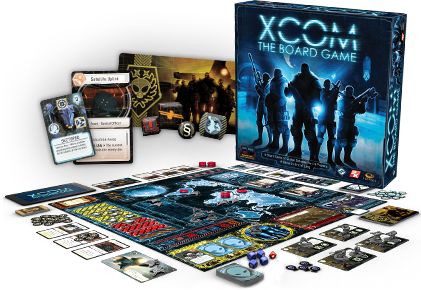 I could see something like XCOM (pick a version) translating into a Board Game. Lot of Pen&Paper RPG elements. Sooo... Eclipse, then? But official? You'd better be bringing something big, because we already have that. Less snarkily, this seems a very strange thing to do. We've already seen some games make the transition from desktop to tabletop, but that mostly applies to 1. games that're either stripped down (like the XCom boardgame) or 2. fairly simple to begin with (like the Bioshock Infinite one). That doesn't bode well for a game of MOO's complexity. The big advantage of using a computer (aside from not needing other people to be physically present) is that it tracks all the minute variables that would be far too tiresome to do in person- this 10,000-man army is made up of 1,000-man units; if 3,947 men die, are any of those units wiped out completely? This is why you'll never see "Europa Universalis: the board game" (note to Paradox: prove me wrong. Please.). 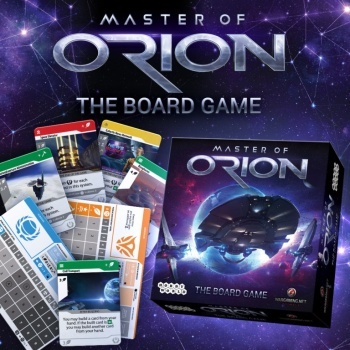 That ties in to the next bit, which is this: the new video game isn't even out yet; there's absolutely nothing to base appeal on save for the Master of Orion name; but Wargaming.net (at least in the information they've released thus far) seems to be determined to stress that this isn't just a remake; it's their own thing. But we don't know what that is yet. Why try to push these simultaneously, unless you're afraid they'll both crash and burn, and you want to cash in up front? I dearly hope that I'm wrong here; that years of being burned have left me overly reluctant to trust. Especially since, as I mentioned, we have so little to go on. This isn't even sketchy, but it definitely is weird. Time will tell, I suppose. The big advantage of using a computer (aside from not needing other people to be physically present) is that it tracks all the minute variables that would be far too tiresome to do in person- this 10,000-man army is made up of 1,000-man units; if 3,947 men die, are any of those units wiped out completely? This is why you'll never see "Europa Universalis: the board game" (note to Paradox: prove me wrong. Please.). You could possibly do a hybrid; you have boardgame and pieces, but also have an app that does all the complicated calculations for you. Aaaand I'm buying that <_< gonna go right next to my Civilization and Starcraft board games. Appropriately enough, it uses a tablet program (yes, program; I don't care what the rest of culture says, you're not fit to be operating a pocket computer if you're afraid of multisyllabic words) to manage the calculations for you; it is, essentially, the kind of hybrid system you suggested above. Always kind of a neat thing to think "this far-out idea would be cool" only to find someone's already done it, isn't it? I think this is going to have a hard time outdoing "Twilight Imperium" as a 4x board game, but it'll be worth a closer look on release. At least with it coming from a different developer it won't be a repurposing of an old ruleset. That said, when ffg did that with the old dune game (changing it into a TI spin off) it worked so it's not always a bad thing when that happens. We forget that 4X games evolved from boardgames in the first place, I still have a copy of the original Civilization from the 80's (though there's some uncertainty as to whether or not Sid Meier used it as a direct inspiration. More that they tend to share the same genepool that allows certain games to transition very easily into boardgames. When you break it down all 4X games are really are digital boardgames with fancy effects, which is not a bad thing mind you. It's quite fun, you won't regret it. Keep the volume up on the tablety too, good for atmosphere of the game and notifications of events. Have played it dozens of times.